Sluggish adoption of emerging electronic government (eGov) applications continues to be a problem across developed and developing countries. This research tested the nine alternative theoretical models of technology adoption in the context of an eGov system using data collected from citizens of four selected districts in the state of Bihar in India. Analysis of the models indicates that their performance is not up to the expected level in terms of path coefficients, variance in behavioural intention, or the fit indices of the models. In response to the underperformance of the alternative theoretical models to explain the adoption of an eGov system, this research develops a unified model of electronic government adoption and tests it using the same data. The results indicate that the proposed research model outperforms all alternative models of technology adoption by explaining 77 % of variance in behavioural intention, with acceptable values of fit indices and significant relationships between each pair of hypothesised factors. Electronic government (hereafter, eGov) is one of the most interesting concepts to have appeared in the area of public administration in the last few years (Moon 2002; Norris and Moon 2005) and has become a significantly prominent facet of governance (Morgeson et al. 2010; Thomas and Streib 2003; Welch et al. 2005). It is defined as the delivery of government information and services to citizens via the Internet or other digital means (West 2004). eGov services can be broadly categorised as either informational or transactional. Informational services concern the delivery of government information through Web pages, while transactional services involve two-way transactions between government and citizens that may require horizontal and vertical integration of multiple government agencies (Norris and Moon 2005; Venkatesh et al. 2012). There are a number of advantages to transforming traditional public services into eGov services, such as cost-efficient delivery, integration of services, reduction of administrative costs, a single integrated view of citizens across all government services, and faster adaptation to meet citizens’ requirements (Akman et al. 2005). On the other hand, governments face challenges in deploying transactional eGov services (Al-Sebie and Irani 2005; Gauld et al. 2010), reflected in the low success rate of their implementation across the world (Venkatesh et al. 2012). Prior research (e.g., Hung et al. 2009; Lee and Rao 2009; Lu et al. 2010; Rana et al. 2015a; Schaupp et al. 2010; Shareef et al. 2014) on eGov adoption has largely explored the well-known alternative models of information systems/information technology (IS/IT) such as the technology acceptance model (TAM), the theory of planned behaviour (TPB), and the unified theory of acceptance and use of technology (UTAUT) or combinations of these, to examine the factors responsible for the slow adoption of eGov systems or the reluctance of users to adopt them. Most theories evoked in prior research on eGov adoption have employed conventional IS concepts and could thus be criticised for not considering eGov-specific contexts. Hence, there is a need for an eGov-specific theory to address the distinctive issues related to eGov adoption. Given the limited applicability of IS concepts, which are appropriate for exploring technology adoption in general but not for addressing the intricacies surrounding eGov, there is a need for a theory-building exercise as an independent form of research in the eGov context, with IS/IT theories and concepts intact (Dwivedi et al. 2012). The slow adoption of eGov services has been acknowledged by recent studies (e.g., Akkaya et al. 2011; Bwalya and Healy 2010; Lee et al. 2011) and efforts have been made to identify the factors affecting the adoption of such services (e.g., Lu et al. 2010; Schaupp et al. 2010); however, none of these studies has made any further attempt to develop and validate an eGov-specific unified model to explain these phenomena. Recognising this existing gap in the literature, this research aims to develop a unified model of eGov adoption and validate it using primary data collected in an investigation of the electronic district (e-District) system in Bihar, India, as an aid to identifying the factors influencing citizens’ intention to adopt an emerging eGov system. As most of the eGov systems emerging in developing countries like India have been developed but not yet used by the larger population for which they were intended, it is very difficult to measure their use behaviour. Therefore, the current research measures the adoption of the eGov system in question using instead behavioural intention as the ultimate dependent variable. A fundamental tenet of the theory of reasoned action (TRA) is that attitudes fully mediate the effects of beliefs on intentions (Davis et al. 1989). We have thus chosen attitude as a mediating variable for our proposed model. To perform a review of the extant user acceptance and success models: The key purpose of this review is to examine the current state of knowledge with respect to understanding individual acceptance or success of the information systems in general and eGov system in particular. This review identifies nine prominent models of IS acceptance and one model of IS success and demonstrate their key constructs that influence ultimate dependent variable(s) such as behavioural intentions and/or use behaviour. To empirically compare the ten models: We conduct validation and comparison of the ten models using data gathered from citizens of four selected cities in Bihar, a state in India where e-District system was being implemented. To formulate the unified model of electronic government adoption: Deriving from the inabilities of the UTAUT to be a true representative of the eGov adoption, we formulate the unified model for eGov adoption by selecting the appropriate items of the integrated constructs that enhance the overall performance of the proposed unified model. To empirically validate the proposed model: An empirical support for the proposed model on the gathered data provides preliminary support for our contention that it outperforms all other contemporary models of adoption and success including the UTAUT. The paper is structured as follows. In Section 2, we present the Indian context of the eGov evolution. Section 3 presents an overview of the specific eGov system this paper explores and analyses. The following section (i.e., Section 4) deals in with the research methodology and discusses the ways in which the survey questionnaires were distributed and completed response was gathered from the specific geographical location of selected cities of a state in India. Section 5 presents the review and empirical comparisons of the competing technology adoption models using the data gathered for e-District system. Section 6 presents the proposed research model and development of hypotheses to support the interrelationships of constructs. Section 7 presents the factor loadings of all the similar constructs of the UTAUT and selects the most appropriate items from the UTAUT to form the proposed model. Section 8 presents the results including demographic profiles of respondents, descriptive statistics, reliability analysis for the constructs of the proposed model, measurement model, and the structural model testing for the projected model including analysing it model fit summary, path coefficients and hypotheses testing. Section 9 provides the discussions of results presented in the previous section along with limitations and future research and implications for theory and practice. Finally, Section 10 presents the conclusion of the research. Global shifts toward increased deployment of IT by governments began in the 1990s, with the advent of the World Wide Web (Avgerou 2002; Jangra 2011). Both this technology and eGov initiatives have come a long way since then. As Internet and mobile connections increase, citizens are learning to exploit these new modes of access in wide-ranging ways. They have started expecting more and more information and services online from governments and corporate organisations to further their civic, professional and personal lives, thus creating abundant evidence that a new “e-citizenship” is taking hold (Mujtava and Pandey 2012). The concept of e-governance had its origins in India during the 1970s, with a focus on the development of in-house government applications in the areas of defence, economic monitoring, planning and the deployment of IT to manage data-intensive functions related to elections, censuses, tax administration, etc. The efforts of the National Informatics Centre (NIC) to connect all district headquarters during the 1980s were a very significant development. From the early 1990s, IT systems were supplemented by information and communication technology (ICT) to extend their application to other sectors, with policy emphasis on reaching out to rural areas and taking in greater inputs from non-government organisations (NGOs) and the private sector (Bevir and Rhodes 2004; Mujtava and Pandey 2012). The National e-Governance Plan (NeGP) was formulated by the Department of Electronics and Information Technology and Department of Administrative Reforms and Public Grievances. The central government approved the NeGP on May 18, 2006. It aims to improve the delivery of government services to citizens and businesses with a vision to make all government services accessible to the common people in their locality through the common service delivery outlets and ensure efficiency, transparency, and reliability of such services at affordable costs to realise the basic needs of common people. The government delivery of citizens’ specific services through e-District system is a step forward to meet its NeGP aim and turning them into reality. While the emphasis has been primarily on automation and computerisation, state governments in India have also endeavoured to use ICT tools for connectivity, networking, processing information and delivering services to citizens (Mujtava and Pandey 2012). A number of state governments have initiated measures to introduce IT and its tools in the governance process. Indeed, a majority of Indian states have implemented ICT-enabled applications to improve service delivery to their citizens (Monga 2008). One example of such an application is the e-District system, which has been developed in order to provide the integrated and flawless delivery of public services to citizen through a single window, thus ensuring the efficiency, transparency and reliability of such services, enabled by an automated district administration. Its benefits include faster processing of citizens’ cases, appeals and grievances, an effective electronic workflow system, better and fast decision-making services to district administrations, improvement in the efficiency of the workforce, post-delivery evaluation for further improvement, and faster service delivery to citizens. The e-District system provides services to citizens including the issuing of certificates (such as caste, residential, character, income, birth and death certificates), pension services (such as the national old-age pension, the Indira Gandhi national widow pension, the Bihar handicapped pension, etc. ), land revenue services (such as land-related certificates), public distribution systems (such as registration of families and dealers, coupon collection and distribution, kerosene oil and food (such as wheat and rice) allocation to dealer, changing of dealers, tracking of coupons, and distribution of ration cards), right to information (RTI) services (such as recording, listing and status of RTI), grievance management services (such as recording, listing and status of grievance), electoral services (such as addition, modification, or deletion of a name on the electoral roll), legal services (such as maintaining the status and order of court cases), information dissemination services (including various information related to loan, scholarship, disaster management and relief, irrigation, and treasury), office management services (such as personnel details, employee posting record, employee salary details, employee leave record, stock entry, manpower management, and employee attendance), postal services (i.e., status of dispatched and received posts), application status of certificates and verification of their signature, and tourism information for the four selected districts (i.e., Aurangabad, Gaya, Madhubani, and Nalanda) where the e-District system was implemented in its initial phase. This system is the subject of a model project launched in four districts of Bihar state (Aurangabad, Madhubani, Gaya and Nalanda) and currently undergoing pilot testing across these four districts. This study uses data captured from the citizens of the districts of Aurangabad, Madhubani, Gaya and Nalanda in Bihar, where the e-District system was in the pilot testing phase. The New Delhi-based NIC, as the organisation implementing the system, coordinated the contributions of various public and private sector organisations in the four districts in order to pilot test the system in a phased manner. Students, employees and other prospective adopters from these districts were invited to test the system and provide feedback. The implementers of the system assigned the first day of the pilot to teaching users about the functioning of the system and to making them aware of the facilities and benefits that it would provide. We decided to distribute 250 survey questionnaires to the respondents in each district, making a total of 1000 questionnaires, on the first day of interaction. The data were collected from 2nd to 31st July 2012 through face-to-face interaction. Respondents were requested to state their level of agreement with each item on a 7-point Likert scale, where 1 indicated ‘very strongly disagree’ and 7 meant ‘very strongly agree’ (Al-Gahtani et al. 2007). The survey questionnaire contained a total of 69 items, of which 59 (see Appendix 1) were related to aspects of the selected constructs and the remaining ten explored the demographic characteristics of the respondents. After getting to know the functioning of the e-District system through our training, we manually distributed the physical copies of the paper questionnaire to the interested prospective users (including students, public and private sector employees, retired professionals, self-employed individuals, and housewives) representing the different levels of the society. Some respondents filled in the questionnaire and returned it on the spot whereas we asked other respondents to return the questionnaire within maximum a week time, when the pilot test camp was supposed to take place in each district. However, respondents in the Aurangabad, Madhubani, Gaya and Nalanda districts respectively returned only 92, 104, 81 and 112 questionnaires, making it 389 returned responses in total. Manual scrutiny of the returned questionnaires revealed that 85 of these were either incomplete or marked with more than one option for one or more questions; these were discarded, leaving a sample of 304 usable responses as the basis for further analysis. Information systems (IS) research has long been concerned with how and why individuals adopt new IT (Dwivedi et al. 2015a, b; Hossain and Quaddus 2015; Kapoor et al. 2015). Within this wide area of scholarship, there have been a number of streams of research. One of these addresses the individual acceptance of technology, using intention or usage as a dependent variable (e.g., Ajzen 1991; Davis et al. 1989; Dwivedi et al. 2015a, b; Seethamraju 2015), whereas other streams have focused on the success of the systems, using IS success models (e.g., Barclay 2008; DeLone and McLean 1992, 2003; Rana et al. 2015a; Seddon 1997; Swar et al. 2012), and on IS implementation success at the organisational level (Leonard-Barton and Deschamps 1988). While each of these streams makes significant contributions to the literature on user acceptance of IT, the theoretical models to be included in the current review, comparison and synthesis implement intention to use a technology as the key dependent variable (Venkatesh et al. 2003). Table 1 lists the ten models, identifies their core constructs and provides references to the appropriate originating sources. Most of the theories and models presented in Table 1 or their combinations above have also been used in describing eGov adoption in some form or other. This study examines the performance of each theory/model shown above by utilising the primary data collected for the e-District system, then develops and tests a unified model of eGov adoption based on the mapping of these theories. The model will be developed from the most appropriate measures selected from the set of UTAUT measures developed by Venkatesh et al. (2003), which were originally used to measure the acceptance of technology by individuals in an organisational context. Table 2 presents nine different models of technology adoption validated using the data collected for the e-District system (see Appendix 2 for abbreviations). Beginning with the earliest model, analysis indicates that TRA was the best performing of those listed in terms of the significance of its relationships (i.e., each at p < 0.001), the highest variance (i.e., 76 %) obtained on BI, and fit indices. However, the chi-squared by degree of freedom (χ 2/DF) and RMSEA values were not found at the recommended levels; therefore the model is not considered to perform ideally. As to TAM, although the variance explained (51 %) was less than for TRA, its fit indices (χ 2/DF, CFI, GFI, AGFI and RMSEA) were better and fulfilled all recommended criteria. However, PU was found to have a non-significant relationship with BI in this model. The validation of these two leading models does indicate that attitude plays a vital role in determining BI and that degree of use of the eGov system is also very important. On the other hand, PU is not able to determine behavioural intention. The relevance of attitude to the performance of these models is also supported by the fact that TPB was found to explain the second highest variance in BI after TRA, with all of its relationships being significant. However, the model did not achieve a reasonable fit for the data provided, as it was found to underperform on the majority of the critical fit-indices: χ 2/DF, CFI, GFI and RMSEA failed to reach recommended levels. Table 2 also shows that all of the other models (SCT, DTPB, IDT, TAM2, DOI, and UTAUT) underperformed significantly in terms of one or more variables and the majority of fit indices, with relatively low variance explained. Thus, these models did not perform at the desired levels. Even UTAUT, which has been a recommended model in most of its implementations, did not perform to expectations when tested with the data gathered for this research. This analysis of the alternative models of adoption in the context of eGov systems indicates the need for a unified model in this area of research, which would preferably represent the eGov context specifically. The results presented in Table 2 illustrate a number of relationships between various constructs of different models of technology adoption using the data gathered for e-District systems. The analysis indicates that although none of the models fulfilled sufficient criteria to be considered an ideal research model, a handful of constructs emerged as significant determinants of attitude and behavioural intention. Moreover, while acknowledging that all such constructs except self-efficacy and anxiety are incorporated in UTAUT, it should be noted that even this model does not seem to perform at the expected level. The introduction of attitude into three models (TRA, TPB and DTPB) was shown to be extremely significant for their performance in terms of the enhanced relationship of attitude to behavioural intention and their overall variance of behavioural intention explained. Arguing from the enhanced performance of the models through the inclusion of attitude, we propose to include attitude as a mediating construct in our research model. The role of attitude in explaining technology acceptance is widely acknowledged in prior literature (e.g., Bobbitt and Dabholkar 2001; Kim et al. 2009; Taylor and Todd 1995b; Yang and Yoo 2004). Further, the inclusion of attitude in models of IS/IT acceptance is consistent with TRA (Ajzen and Fishbein 1980; Fishbein and Ajzen 1975), TPB (Ajzen 1991) and DTPB (Taylor and Todd 1995b). Specifically, we position attitude as a mediating variable between performance expectancy, effort expectancy and social influence on one hand and behavioural intention on the other (Fig. 1). This is because the extent to which the e-District system is useful, consistent with performance expectations and easy to use can influence the individual’s attitude, leading to intention. Moreover, the suggestions and recommendations of referent others can also influence individuals’ attitudes towards using a system. A number of empirical studies (e.g., Aboelmaged 2010; Aggelidis and Chatzoglou 2009; Egea and González 2011; Kim et al. 2010) have advocated the use of attitude as a mediating variable, mediating the effects of perceived usefulness and perceived ease of use in TAM. Attitude has also been posited as a mediator of performance expectancy and effort expectancy in a number of studies using UTAUT (e.g., Alshare and Lane 2011; Koh et al. 2010; Sumak et al. 2010). Other studies (e.g., Chiu et al. 2012; Park et al. 2007; Sumak et al. 2010) have provided empirical support for the relationship between social influence and attitude in the context of the IS/IT adoption literature in general. We also propose that attitude would influence behavioural intention (Fishbein and Ajzen 1975; Davis 1989; Ajzen 1991; Taylor and Todd 1995b), based on prior empirical research (e.g., Chen and Lu 2011; Cox 2012; Zhang and Gutierrez 2007). We further propose to include the relationship between facilitating conditions and behavioural intention in the research model. This inclusion is based on appropriate theoretical foundations (Ajzen 1991; Taylor and Todd 1995b) and empirical findings (e.g., Eckhardt et al. 2009; Foon and Fah 2011; Yeow and Loo 2009) which support the effects of facilitating conditions on behavioural intention. This research also argues that anxiety could be used as an external variable in the proposed model. Anxiety could be considered a determinant of attitude, since the potential adopters of any eGov system would probably be concerned about its success. Venkatesh et al. (2003) argue that anxiety should not be treated as a direct determinant of behavioural intention, which provides support for the anxiety-attitude relationship. Under the proposed research model, we theorise that four constructs will play a significant role as direct determinants of attitude and behavioural intention: performance expectancy, effort expectancy, social influence and facilitating conditions. Moreover, this research considers anxiety to be an external variable determining users’ attitude, which would in turn influence behavioural intention. We also argue that the moderators specified in the original UTAUT model may not be applicable in all contexts, including the current research, so no moderators have been included in the proposed model. The following subsections consider each of the proposed variables in turn and formulate the associated hypotheses, indicated in Fig. 1 as H1–H8. Performance expectancy is defined as the extent to which a person believes that using a system will help him or her to attain gains in job performance. Variables including perceived usefulness (TAM/TAM2), relative advantage (DOI, IDT) and outcome expectations (SCT) are similar in nature to performance expectancy (Venkatesh et al. 2003). These constructs have been regarded as similar to each other in some literature. For example, usefulness and relative advantage (Davis et al. 1989; Moore and Benbasat 1991; Plouffe et al. 2001) and usefulness and outcome expectations (Compeau and Higgins 1995b; Davis et al. 1989) are regarded as similar constructs across various studies. Rooted in the theoretical foundation of TAM by Davis et al. (1989) and DTPB by Taylor and Todd (1995b), it was found that perceived usefulness significantly determined attitude in the context of IS/IT adoption. As perceived usefulness is considered one of the root constructs of performance expectancy in the research of Venkatesh et al. (2003) for the UTAUT framework, it seems plausible to argue that performance expectancy will have a significant influence on individuals’ attitudes towards eGov systems as well. Performance expectancy will have a positive and significant influence on attitude. Effort expectancy is defined as the degree of ease associated with the use of the system. The three variables of perceived ease of use (TAM/TAM2), complexity (DOI, IDT) and ease of use (IDT) encapsulate the concept of effort expectancy (Venkatesh et al. 2003). Similarities among these variables have been noted in several research studies (Davis et al. 1989; Moore and Benbasat 1991; Plouffe et al. 2001; Thompson et al. 1991). Similar to perceived usefulness and rooted in the theoretical foundation of TAM by Davis et al. (1989) and of DTPB by Taylor and Todd (1995b), perceived ease of use was found to significantly predict attitude in the context of IS/IT adoption. A number of studies (i.e., Park et al. 2007; Pynoo et al. 2007, 2011) have provided significant empirical justification for this relationship. The analysis also suggests that after perceived ease of use with behavioural intention, it is the relationship between perceived ease of use and attitude which has been most frequently analysed, and the cumulative impact has been found significant. Effort expectancy will have a positive and significant impact on attitude. Social influence will have a positive and significant impact on attitude. Social influence will have a positive and significant relationship with performance expectancy. Facilitating conditions are defined as the degree to which an individual believes that an organisational and technical infrastructure is available to support the use of the system. This variable captures concepts from three other variables: perceived behavioural control (TPB and DTPB), facilitating conditions (model of PC Utilisation) and compatibility (IDT). Ajzen (1991) found that including perceived behavioural control (a root construct of facilitating conditions) in the TPB model led to substantial improvements in the prediction of intentions. Taylor and Todd (1995b) found a theoretical overlap by modelling facilitating conditions as a key constituent of perceived behavioural control in TPB/DTPB. They report that for inexperienced users, perceived behavioural control had relatively less impact on intention. Venkatesh et al. (2003) argue that when constructs such as performance expectancy and effort expectancy are present, facilitating conditions become insignificant in predicting behavioural intention. However, empirical evidence from a large number of studies (e.g., Chiu et al. 2010; Lee and Lin 2008) on IS/IT adoption suggests that facilitating conditions do significantly affect behavioural intention, even in the presence of performance and effort expectancy. Facilitating conditions will have a positive and significant impact on behavioural intention. Facilitating conditions will have a positive and significant impact on performance expectancy. Anxiety will have a negative and significant impact on citizens’ attitudes towards using the e-District system. The influence of attitude on behavioural intention or intention to use has been measured in the context of various theories of IS/IT adoption including TRA (Fishbein and Ajzen 1975), TAM (Davis et al. 1989), TPB (Ajzen 1991) and DTPB (Taylor and Todd 1995b). According to TRA, a person’s behavioural intention is jointly determined by his/her attitude and by subjective norms concerning the behaviour in question (Fishbein and Ajzen 1975). Similarly, TAM postulates that individuals’ behavioural intention is determined by their attitude towards using the system (Davis et al. 1989). Attitude towards behaviour is defined as the degree to which an individual makes a favourable or unfavourable evaluation or appraisal of the behaviour in question (Ajzen 1991). In the TPB model, Ajzen (1991) postulates that attitude towards behaviour is generally found to precisely predict the individual’s behavioural intentions. Attitude will have a positive and significant impact on behavioural intention. Table 3 presents items included in the proposed research model and their corresponding factor loadings (FL). Recognising a clear demarcation between two pools of constructs, with loadings above and below 0.60, we selected only those items which had FLs of 0.60 or above. Venkatesh et al. (2003) adopted a similar approach, where they selected the four highest loading items from the measurement model for each determinant. However, realising that some items with relatively low FLs adversely affected the performance of the proposed research model, it was decided to drop them from the model. This resulted in the inclusion of the most highly loading and/or appropriate items, comprising four from PE (RA4PU4, RA5PU3, PU2 and PU6), three from EE (EU1EOU3, EOU5 and EU4EOU1), four from SI (SF3, SN2, SF2 and SN1) and five from facilitating conditions (PBC1, PBC2, PBC3, PBC4 and FC1). In addition, three items each from the constructs attitude (AT3, AT2 and AT1), anxiety (ANX3, ANX2 and ANX4) and behavioural intention (BI1, BI2 and BI3) were found useful in contributing to the development of a satisfactory model. The items for each construct selected to be considered for the model building and validation are marked with an asterisk in Table 3. The data gathered in various geographical locations indicate that the majority of the respondents were relatively young, since almost three quarters (72.6 %) were aged 20–34 years. As far as occupation is concerned, the largest group was of students, comprising 39.1 % of the total sample, followed by 18.4 and 17.4 % respectively of private-sector and public-sector employees. In terms of qualifications, more than 84 % were found to be educated to graduate level or above. The computer and Internet literacy and awareness of the respondents can be judged from their very high percentage of computer and Internet experience (≈98 %). Table 4 presents the mean and standard deviation values for the items within each construct used for developing the research model. The mean values of all the constructs (except anxiety) were close to or above five, which indicates that users responded favourably to the system at large. However, relatively low mean values of four or marginally higher for anxiety indicate that respondents did not feel positive about the items related to this construct. The standard deviation of items was in the range 1.25 to 1.63, indicating that with the exception of the items related to anxiety, users’ responses were generally either positive or neutral. Table 5 shows the results of a reliability analysis using Cronbach’s alpha (α), which provides an indication of the internal consistency of items measuring the same construct (Hair et al. 1992; Zikmund 1994). The value of α is in the range 0.739–0.811 for all eight constructs, which indicates a fairly strong internal consistency among the items measuring the same latent variable. Researchers (e.g., Hair et al. 1992; Nunnaly 1978) have considered a Cronbach’s alpha value greater than 0.70 to be good. Hence, the analysis of the e-District system indicates that all variables maintained a high level of reliability. While it is neither necessary nor sufficient for a covariance configuration of items to be reliable for results to be uniform, a high composite reliability is always considered significant for a measured construct to be useful (Anderson and Gerbing 1982). Therefore, the results of reliability for the e-District data indicate that the measurements provided highly consistent results. The convergent and discriminant validity of the scales were tested using confirmatory factor analysis. Convergent validity was examined using three ad hoc tests recommended by Anderson and Gerbing (1988). Table 6 lists the standardised factor loadings, composite reliabilities (CRs) and average variance extracted (AVE). Standardised FLs, which are indicative of the degree of association between scale items and a single latent variable, were highly significant in all cases. CRs, similar to Cronbach’s alpha for each construct, were found well beyond the minimum limit of 0.70. AVE, which measures the variation explained by the latent variable as opposed to random measurement error (Netemeyer et al. 1990), ranged from 0.512 to 0.733 for all constructs, thus exceeding the recommended lower limit of 0.50 (Fornell and Larcker 1981). Hence, all three tests supported the convergent validity of the scales. Discriminant validity was assessed with the test recommended by Anderson and Gerbing (1988). The factor correlation between a pair of latent variables (Table 7) should be less than the square root of AVE of each variable (Table 2). Each combination of latent variables was tested and each pairing passed, providing an indication of the discriminant validity of the scales. For example, the factor correlation between PE and EE is 0.622, which is less than the square root of AVE for both PE (i.e., 0.823) and EE (i.e., 0.764). In other words, a construct is considered to be distinct from other constructs if the square root of the average variance extracted for it is greater than its correlations with other latent constructs (Barclay and Smith 1997). All constructs passed this test. The overall model fit is summarised in Table 8. The test of overall model fit resulted in a chi-squared value of 462.915 with 263° of freedom and a probability value of less than 0.001. The significant p-value indicates that the absolute fit of the model is less than desirable. However, although the χ2-test of absolute model fit is sensitive to sample size and non-normality, a better measure of fit is χ2/DF. This ratio for the proposed model is 1.76, which is within the suggested [3-1] bracket (Chin and Todd 1995; Gefen 2000). In addition to the above-mentioned ratio, we also report some of the fit indices. Descriptive fit statistics compare a specified model to a baseline model, typically the independence model, with a view to showing the superiority of the proposed model. We report the goodness-of-fit index (GFI), the adjusted GFI (AGFI) and the comparative fit index (CFI). Anderson and Gerbing (1988) found CFI to be one of the most stable and robust fit indices. We also report root mean square error of approximation (RMSEA), which measures the discrepancy per degree of freedom (Steiger and Lind 1980). The GFI and CFI statistics should both be at or above 0.90 (Hoyle 1995), while AGFI should be at or above 0.80 (Chin and Todd 1995; Segars and Grover 1993). Finally, RMSEA should be below 0.10 (Browne and Cudeck 1993), but has also been suggested to represent a very good fit if below a more restrictive threshold of 0.08. Having established the relative adequacy of the model’s fit, it is suitable to examine individual path coefficients corresponding to our hypotheses. This analysis is presented in Table 9. All eight hypotheses are supported. Performance expectancy, effort expectancy and social influence all positively and significantly affected behavioural intention to use (H1, H2, H3). Anxiety negatively and significantly influenced attitude (H7). Social influence and facilitating conditions significantly determined performance expectancy (H4 and H6). Attitude and facilitating conditions significantly influenced behavioural intention (H5 and H8). Figure 2 depicts the validated research model with path coefficients and the significance of each relationship. It also demonstrates the variance of the model, shown on each of the three dependent variables. The variance of the model shown on BI (77 %) outperforms the variances presented by any alternative model of IS/IT adoption, indicating that this is a better unified model of eGov adoption than any other model, including UTAUT. This research has examined alternative models of technology adoption in the context of the e-District system in Bihar and devised a new unified conceptual model for eGov adoption, showing that the validated model outperforms all alternatives examined. Through the validated research model, we have shown that attitude played a central role examining influencing the adoption of the e-District system. More specifically: a) attitude was influenced by anxiety; b) attitude had a direct effect on behavioural intention, which implies that attitude partially mediated the effects of performance expectancy, effort expectancy and social influence; and c) both social influence and facilitating conditions directly influenced performance expectancy. These findings are vital, since they underscore the significance of explicitly modelling individual characteristics through the proposed unified model of eGov adoption. The significant relationships of performance and effort expectancy with attitude in our validated research model indicate that attitude may be shaped by the degree to which the eGov system is easy to use (i.e., less complex) and is expected to be useful (i.e., greater performance); in other words, the capabilities of the e-District system may influence individuals’ attitudes. These relationships have been supported by a number of technology adoption studies (e.g., Alshare and Lane 2011; Park et al. 2007; Pynoo et al. 2011). For example, Alshare and Lane (2011) obtained similar results regarding the effects of performance and effort expectancy on attitude in a study of students’ perceived learning outcomes in enterprise resource planning courses. Investigating secondary school teachers’ acceptance and use of a digital learning environment called Smartschool, Pynoo et al. (2011) also found that performance expectancy and effort expectancy affected their attitude. The authors argue that teachers had positive attitudes to Smartschool because they expected it to be useful (PE) and easy to use (EE). Moreover, social influence was found to be a significant determinant of individual attitudes. This is perhaps not surprising, because individuals may refine their attitudes based on information or stories shared by others who have already adopted similar technologies or information systems (e.g., Chiu et al. 2012; Pynoo et al. 2007; Sumak et al. 2010). The research also supports the indirect impact of anxiety on behavioural intention through attitude. The significant negative influence of anxiety on attitude indicates that anxiousness about using the new eGov system would negatively influence individuals’ attitudes. This negative relationship is also obvious, because the e-District system is a transactional eGov system which citizens can use to pay for services such as electricity supply, Internet provision or land registry fees through the website. Anxiety is considered a deterrent emotion that arises when the individual sees an IT event as a threat and feels that he or she has only partial control over the outcome from the system (Beaudry and Pisonneault 2010). This relationship also indicates that users engage their emotions as well as their cognition in developing a firm belief about the use of an eGov system. We found further that facilitating conditions directly determined behavioural intention. This is not completely surprising, since facilitating conditions such as training programmes and the centralisation of services through common service centres (CSCs) may be instrumental in enabling individuals to form positive attitudes towards the system concerned (e.g., Chiu et al. 2012; Pynoo et al. 2007). Moreover, the explicit modelling of attitude as a mediating variable significantly improves the explanatory power of the theoretical model, from 34 % without attitude to 77 % with it, for behavioural intention. Finally, the strong and significant impact on behavioural intention of attitude as a mediating construct implies that individuals may intend to use the e-District system based on the strength of their attitudes. A number of studies of technology adoption in general (e.g., Chiu et al. 2012; Park et al. 2007) and eGov adoption in particular (e.g., Lu et al. 2010) have found this relationship to be extremely strong and significant. Although we have taken appropriate precautions in conducting this research, its findings should be interpreted in the light of some limitations. First, data were collected from a sample of non-adopters of the e-District system, so future researchers should be cautious in applying its results to adopters of the system. Second, as the choice of population was limited to four of the 38 districts of a single state in India, the generalisation of the findings of this research should be undertaken with great care. Future research should collect data from a more diversified sample, which would makes it outcomes safer to generalise to a wider population. Third, following the approach used by Venkatesh et al. (2003), we selected the highest-loading items from a set of items from different constructs constituting the core constructs (PE, EE etc.) of our proposed model. However, we accept that choosing items for the constructs in this way may not necessarily represent all of the constructs of our model. For example, none of the items of the output expectation construct was selected for performance expectation, even though PE is similar to output expectation and has similar constituents. Therefore, the measures for the proposed research model should be viewed as preliminary and future research should adopt more appropriate methods of selecting the appropriate mix of items for the core constructs. A significant omission in the conceptualisation of the original UTAUT model is the individual who intends to engage or actually engages with the IS/IT, since individual characteristics are not included in the model. In the synthesis of prior studies, we determined that they had assigned significant importance to the individual’s attitude towards IS/IT (e.g., Alshare and Lane 2011; Sumak et al. 2010). Therefore, this research also proposed and tested a theoretical model with attitude as one of the constructs, supplementing the basic UTAUT model. The analysis revealed that our proposed theoretical model performed better than all alternative theoretical models including UTAUT. Based on evidence from the existing research and our findings, we therefore propose attitude as an integral element of the unified model of eGov adoption. Moreover, our research has identified the operation of three relationships (FC→BI, SI→PE and FC→PE) that were not present in the original UTAUT model, thus offering new insights regarding individuals’ attitudes and intentions relating to the adoption of the e-District system. The performance of the research model also indicates that moderators may not be universally applicable to all contexts and thus run the danger of being irrelevant in certain settings. Our analysis shows that it may be beneficial and significant to theorise and validate on the basis of direct effects alone, rather than considering moderators. Our findings show that attitude played a central role in individuals’ intention to use the e-District system. Specifically, attitude had direct effects on behavioural intention, which implies that the government officials concerned may find it beneficial to shape the attitudes of individuals in order to influence their intentions. We found that performance expectancy and effort expectancy had direct effects on attitude. This implies that individuals attribute considerable importance to the extent to which the eGov system in question may be useful and easy to use. Therefore, designers, developers and policymakers should seek to enhance the ease of use and usefulness of the system so that the acceptance and use of such innovations may be managed more successfully. Possible ways to accomplish these objectives include more accurate representation of user requirements to software analysts, designers and developers; the selection and use (as benchmarks) of those eGov systems which are better aligned with user requirements and have wider acceptance; and effective communication of the system’s capabilities through product brochures, live demonstrations and success stories (Alshare and Lane 2011; Koh et al. 2010; Martin and Herrero 2012; Pynoo et al. 2011). We also found that social influence and facilitating conditions had direct impacts on attitude and on behavioural intention respectively. This suggests that individuals may assign importance to facilitating conditions such as help desks, CSCs and training programmes, as well as to the experiences of other individuals in using the eGov system in question. Hence, the government body or department concerned should consider providing adequate infrastructural facilities and proper training to users through the established CSCs across the country, so that they will be more positively inclined to use this new eGov system. Relevant government departments and/or officials might proactively manage the social influence that could be exerted on individuals by organising forums for sharing best use practices, instituting champions who are enthused about diffusing such eGov systems and can generate positive word-of-mouth, and planning countermeasures for any negative feedback (Chiu et al. 2012; Pynoo et al. 2007; Sumak et al. 2010). This research has analysed the performance of alternative models of IS/IT adoption in the context of an eGov system and theorised a specific unified model for eGov adoption that emphasises individuals’ characteristics. Specifically, we modelled attitude as mediating the effects of three core constructs (PE, EE and SI) on behavioural intention. Our findings indicate that using a different set of items to the one used in the original UTAUT model and adding attitude as a mediating variable unexpectedly raised the performance of the proposed model and that in terms of the variance in behavioural intention explained, it outperformed all alternative models of IS/IT adoption validated using the same primary data. Our empirical investigation indicates that the proposed theoretical model, which reframes the propositions of the original UTAUT model, serves as a meaningful alternative for understanding eGov adoption. Therefore, the clear contribution of this research is the development and validation of the eGov specific unified model, which is open to further validation in the different contexts. RA3/PU5. Using the e-District system would make it easier to get my Birth| Marriage | Death| Caste Certificate| Monthly Ration| Land Registry| Bill Payments| Delivery and Collection etc. PU6. I would find the e-District system useful for obtaining my Birth| Marriage | Death| Caste Certificate| Monthly Ration| Land Registry| Bill Payments| Delivery and Collection etc. Shareef, M. A., Kumar, V., Dwivedi, Y. K., & Kumar, U. (2014). Service delivery through mobile-government (mGov): Driving factors and cultural impacts. 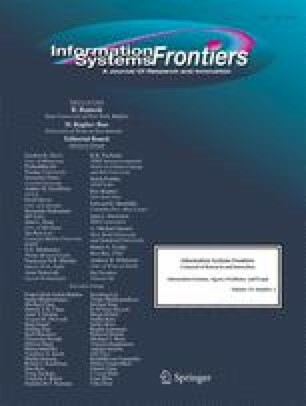 Information Systems Frontiers, 1–18, doi: 10.1007/s10796-014-9533-2.